This week's Top Ten Tuesday is hosted by the girls at The Broke and the Bookish. There are so many things on my list to buy that are all bookish without being books! Let me share some awesome bookish things with you! 1. Once Upon a Time bookends -you can buy them here! 2. Antique Book Laptop Case -you can buy it here! 3. 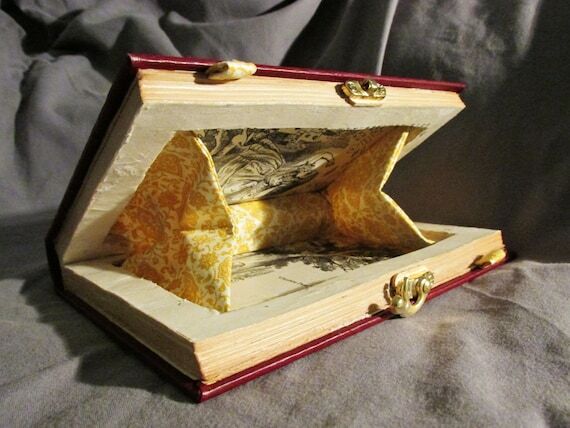 Antique Book Clutch -you can buy it here! 4. 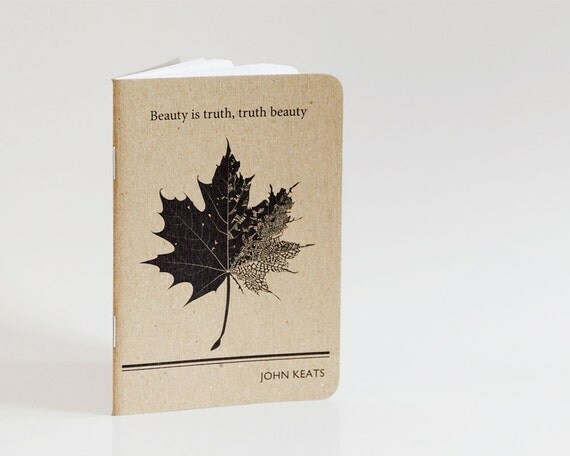 John Keats Notebook -you can buy it here! 5. Vera Bradley Kindle Case -you can buy it here! 6. 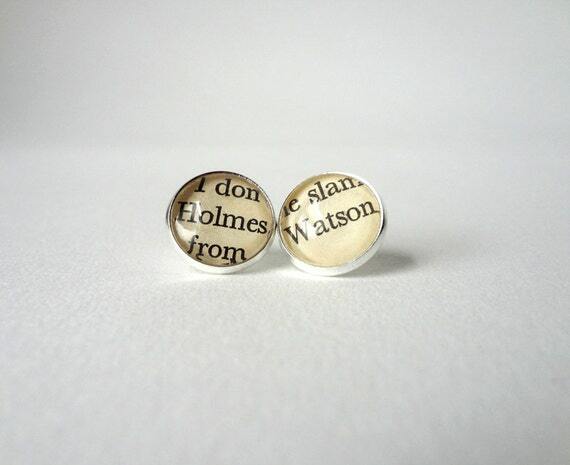 Sherlock Stud Earrings -you can buy it here! 7. Yellow Wallpaper Shirt -I have no idea where to buy this, so if you guys have a link, send it my way! 8. 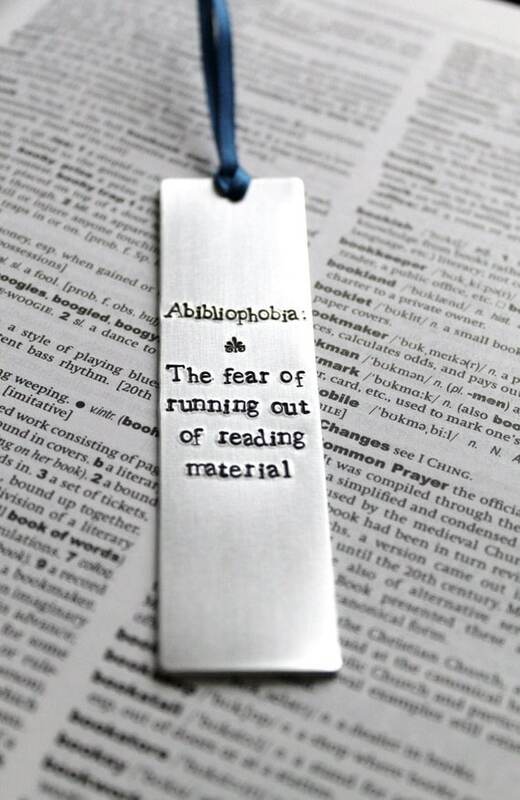 Abibliophobia bookmark -you can buy it here! 9. 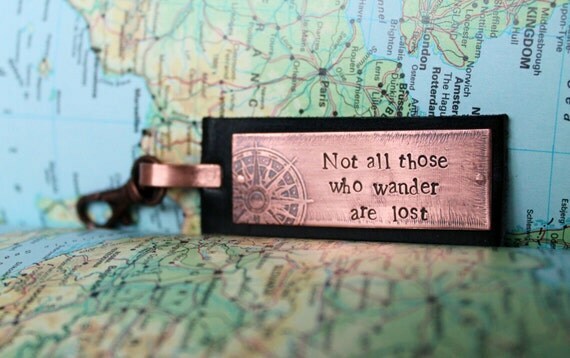 Tolkien Quotation Keychain -you can buy it here! 10. Stair Decals -you can buy them here! What other bookish things do you want to buy? Let us know in the comments! That laptop case is so cool (too bad I don't have a MacBook Pro)! The bookends are pretty sweet, too. I didn't do Top Ten Tuesday this week because I couldn't think of ten bookish things I'd want. One or two, maybe... but not ten. I didn't think I would be able to do this post either until I started looking, and I realized I wanted ALL THE BOOKISH THINGS! haha! The wallpaper T-shirt is based on the short story The Yellow Wallpaper by Charlotte Perkins Gilman. It's an American short story. I am not a huge fan of Am Lit, but I LOVE that story. It's kind of creepy and just really good especially where it concerns feminism. If you have a free 30 minutes to an hour, take time to read it. You will probably be able to find it free online somewhere. It's one of my favorites!